Exit 2, Kingswood Interchange, Naas Road, Citywest, Dublin 22. Have you been advised to start Pilates by your Physiotherapist, GP or Consultant? Are you looking for a way to improve your general wellbeing? Or, do you want to improve your performance in a sport? Pilates provides the ideal balance between injury recovery and prevention, improvement in sports performance and improvement of general health. There are two options – Pilates on the Mat or Pilates on the Reformer (machine). They are both excellent ways to strengthen your core muscles which will help with your back pain or injury. Matwork is done lying down on a mat and working your way through a series of evidence-based exercises to help strengthen the entire body while engaging your core muscles. Reformer Pilates is done lying down on a moveable carriage. Here you will do similar exercises to the mat but you will work with a small bit of resistance. This can help make the exercise easier or a bit tougher if you need more of a challenge. Our number one aim is to help people with pain, dysfunction or injury. To achieve this we offer a wide range of therapeutic treatments and can visit patients in their homes. We treat a wide range of conditions from injuries, chronic pain, sprains and strains, back pain, rehabilitation of surgery/medical procedures to problems caused by day-to-day wear and tear. Click below for a full list of conditions. We offer an extensive range of treatments and therapies including manual therapy, dry needling, Kinesio taping to name a few. This allows us to tailor solutions to our patients’ specific requirements. Click below for all of our treatments and therapies. Louise established the practice in 2013 with the primary aim of providing a whole body approach to our clients’ well being. To achieve this we incorporate a range of Physiotherapy treatments and Pilates ensuring successful results for our clients and continued improvements to their health. 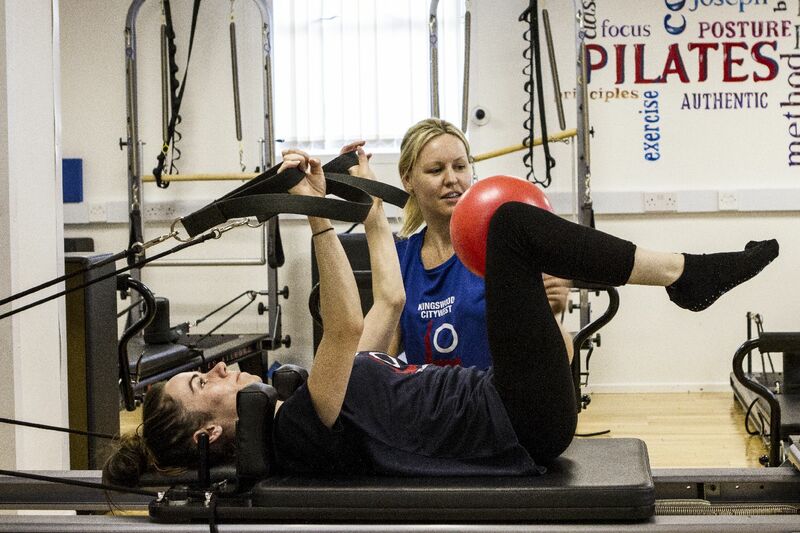 We provide hands on Physiotherapy treatment and will then provide you with the tools to prevent recurrence through Pilates, strength and conditioning or Physio based rehabilitation. Our team are all experts in their fields, and bring extensive experience in Physiotherapy, Pilates and Fitness Instruction. My sincere gratitude to you, Louise, for how much you have helped me. Louise is the BEST Pilates teacher I have ever had, Just Brilliant. Takes great care of her clients. The Benefits I get from the class are I don't need Physio sessions as I was having 2 months ago before I started the Pilates class. I would highly Recommend. Louise's classes are always booked out wherever she hosts the Pilates. She has managed to keep me challenged even though I've been doing this a while. Great Pilates teacher and great fun.